"MY MOTHER WILL NEVER FIND MY GRAVE HERE"Through dense thickets, foul with odors--this ground changed hands many times--the Americans advanced. By Aug 1, over a million of them were in France. America was about ready to have an independent army of her own. 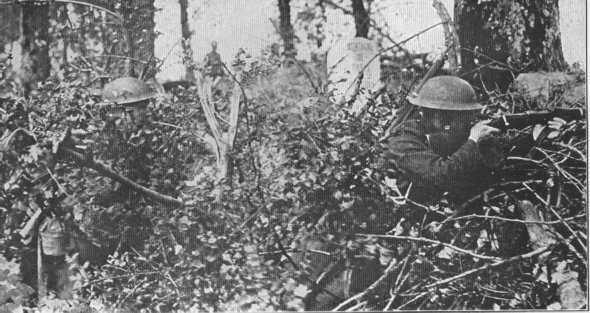 ENEMIES AHEADGermans in trenches at Soissons. 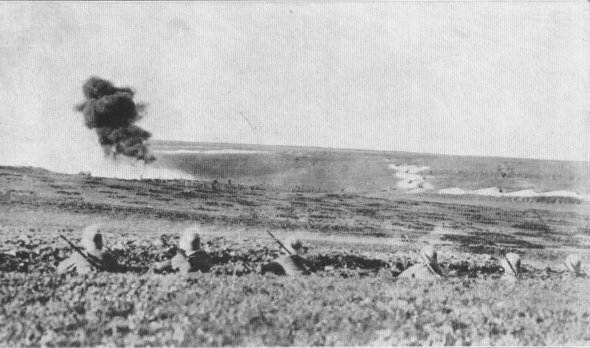 The Americans can be seen advancing up the slope. The American Intelligence Division secured more than 17,000 photographs of enemy positions. How they were secured is another story.